For almost a century and a bunch of dusty old bones lay untouched and undervalued in the dark basement of the Museum. But now she was raised up after scientists realized that the bones belong to a previously unknown kind of prehistoric super-predator. A creature that has a Latin name Tyrannoneustes lythrodectikos, terrorized the warm sea of the Jurassic period, around the British coast about 165 million years ago. A new study showed that he was one of the most ancient in the world of super-predators, a carnivorous animal that can feed production, the size of which exceeds its own. This toothed beast had a length of up to 9 meters and looked like a cross between a shark and Dolphin. Most of his bones, including the jaw and teeth, were preserved in the Museum at the University of Glasgow since then, as she was discovered by paleontologists-lovers in a clay pit near Peterborough in the early twentieth century. 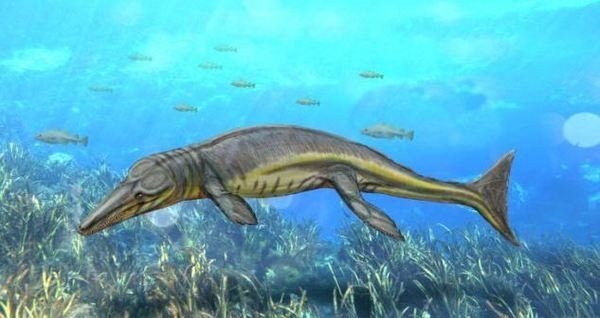 The value of this finding was lost for many years, until the team of experts headed by the employees of the University of Edinburgh have not studied the remains of the creature and identified it as a possible "missing link" between a group of ancient marine crocodiles and modern whales. You are reading news Ученые нашли в музее скелет древнего дельфина-убийцы, который лежал нетронутым в течение 100 лет if You liked the article Ученые нашли в музее скелет древнего дельфина-убийцы, который лежал нетронутым в течение 100 лет, prokomentiruet her.